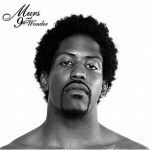 Murs proves himself better than your favorite rapper on ten more 9th Wonder loops, post-beard, post-profanity, still dope. Murs is one of those rappers who has been around for just about forever and pretty much never gotten the credit he deserves. It's certainly not from a lack of self-confidence -- the guy sells "Murs is better than your favorite rapper" t-shirts, for god's sake -- but in 2004, eight albums into a perpetually underground career, his frustration was, I would venture, understandable. Then came a phone call from 9th Wonder, the suddenly-a-lot-less-underground North Carolina producer fresh off of selling the "Threat" beat to Jay-Z. They'd been talking about making an album together, and luckily for hip-hop, 9th isn't the type to desert his less-famous friends after a big break. When their collaboration 3:16 -- The 9th Edition dropped, it was ten tracks of unbelievably brilliant soul beats and strong rapping that became a critical smash and a cult hit, even inspiring a film project, Walk Like a Man. Now that two years have passed, Murs and 9th Wonder are back with an eagerly-anticipated follow-up, Murray's Revenge, ten more tracks of trademark Murs rhymes and those Fruity Loops beats from 9th. The album begins in a grand fashion with the majestic strings and triumphant vocal sampling of "Murs Day", a tightly anthemic two-minute refresher course on why "Murs rules the world". He rides the beat perfectly, delivering lines like "Everything I flow's an anthem / A&Rs who slept on now throwing a tantrum" in a powerfully raw baritone. When he declares without a hint of hesitation that "3:16 was genius", you don't doubt it for a second. From here the album stays consistently strong, but doesn't really reach any higher level. 9th Wonder's production is always on point, ranging from "really good" to "even better", but it's not quite on the plane of his work on 3:16; where that album had at least eight or nine beats that were instant classics, from the acid-guitar growl of "Intro" to the street anthem "H-U-S-T-L-E" to the soul-banger study in contrast of "3:16" (at points even changing beats within tracks to fit the tone of Murs's verses), Revenge's production is undeniably great but not really as memorable. 9th Wonder is still the biggest reason that tracks like "L.A." work on the level they do, contributing what is possibly the first (or at least the jauntiest) harmonica banger in the history of hip-hop, but there are only three or four real classics here. Which is, admittedly, still far more than the vast majority of other hip-hop albums can claim, and 9th more than earns his co-credit this time around. Murs holds up his end of the bargain just as well, offering up more of his signature blend of raw toughness, conscious humanity, and street storytelling. He's changed and matured over the years since 3:16, toning down the more sexually explicit aspects and forgoing profanity for Murray's Revenge (allegedly at the request of his mother). But he has another relationship-gone-sour track ("Silly Girl" for "Bad Man! "), another here's-how-it-went-down-on-my-block track ("Barbershop" for "H-U-S-T-L-E"), another great story rap ("Dreamchaser" for "Walk Like a Man"), and another complex examination of racial issues ("D.S.W.G." for "And This Is For..."). In many respects, Revenge feels less like a sequel to 3:16 than a continuation. "Dreamchaser" is a highlight, Murs offering an all-too-well-informed view into the mindset of a troubled kid growing up wrong, seemingly autobiographical at first until it slowly slips into the realm of fiction. "Yesterday & Today", on the other hand, is unusually beautiful, Murs laying down his life's course over an absolutely sublime mix of Hollywood strings, soul vocals, and tiny swoops of flute: the rhythm of the chorus is absolutely predictable and yet still entirely irresistable. The only problem, then, is that Murray's Revenge simply lacks the instant-classic feel of 3:16. Where his first album with 9th was like a rebirth, a mid-career Illmatic of 30 minutes of pure, sweet hip-hop, this album feels like a great but not-quite-the-same addition to the legacy, the DangerDOOM to 3:16's Madvillain. It's still more than worth the price tag, it's still one of the best hip-hop albums of the underground so far this year, but which disc will we be talking about five years from now?